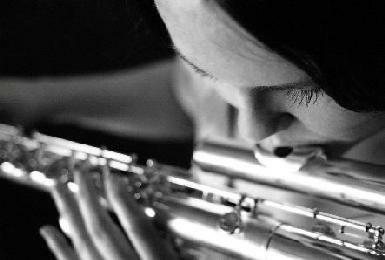 Morwenna Collett is a keen flautist, arts administrator and music writer/presenter. She moved to Sydney from Brisbane in 2010 and is the Program Manager of the Arts Funding (Music) section at the Australia Council for the Arts. The Australia Council is the Australian Government’s arts funding and advisory body and in her role there, Morwenna manages a wide variety of funding programs that provide support to Australian musicians. She has previously worked as the Arts Development Officer for the Dance and Music section at Arts Queensland. Morwenna holds Masters and Bachelors (1st Class Hons) degrees from the Queensland Conservatorium Griffith University and was awarded the University Medal. Her book “Australian Youth Orchestras’ Role in Development of Young Musicians” was published in 2010. Morwenna spent seven years playing flute and piccolo with the Queensland Youth Orchestra and has also been a casual member of The Queensland Orchestra. She has been involved with various charity projects and was a member of the 2009-2010 management committee of the Queensland Philanthropic Orchestra, a community orchestra that donates 100% of its ticket sales to Queensland charities.